On Tuesday, April 28, Christopher Collins, Executive Vice President of Land Use and Real Estate at Capalino+Company, joined New York City’s “Thought Leaders” in a panel discussion about the role of the New York City Council. Entitled “The Evolving City Council”, the lively panel discussion was hosted by the New York City Bar Association’s Committee on New York City Affairs at their offices in midtown Manhattan. It was an interactive platform for these leaders to share their unique and varied perspectives on pressing issues facing New York. Moderated by Audrey Isaacs, Chair of the Subcommittee on City Council Governance, and attorney Robert Brill, the panel aimed to discuss the governance of the City Council and identify its most pressing challenges and needs, with specific attention to the recent 2014 amendments to the Council’s Rules. As part of this dialog, panelists explored the impact of these amendments on the balance of power and effectiveness of the governing body, as well as further amendments to the Rules and general guidelines that should be considered to assist the Council in performing its duties effectively. Specifically highlighted was the new term limits, discretionary funds and land use policy. “At Capalino+Company, we recognize the unique challenges facing the City Council. 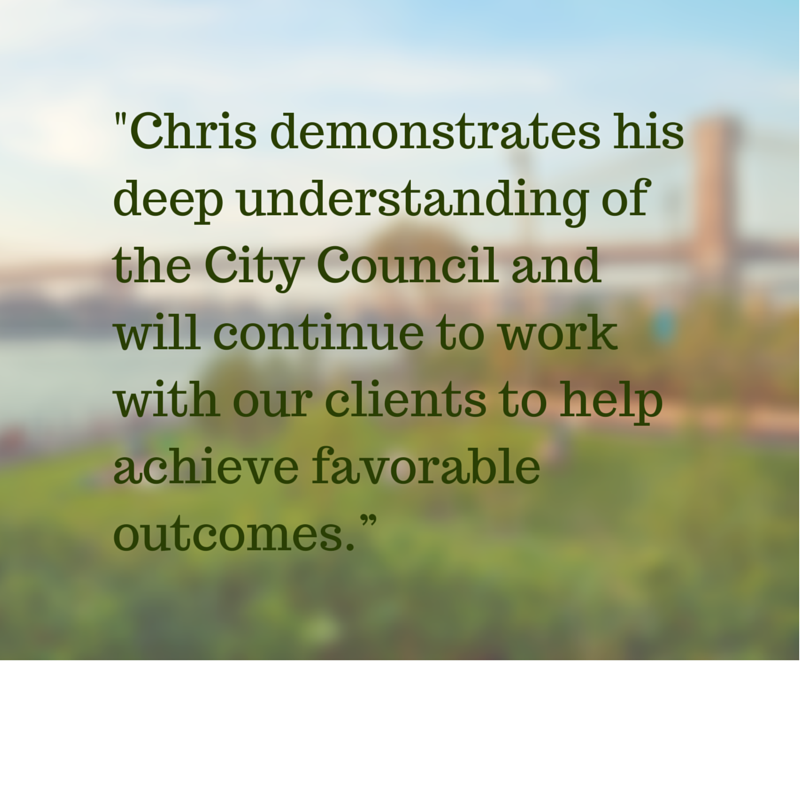 Chris demonstrates his deep understanding of the City Council and will continue to work with our clients to help achieve favorable outcomes,” said Jim Capalino, CEO of Capalino+Company. As the former Counsel to the Land Use Committee of the City Council Counsel, Chris helped drive a discussion on the City Council’s crucial role approving land use matters. Land use policy and zoning changes are at the forefront of this administration’s initiatives, serving as an important component of Mayor de Blasio’s housing plan to construct or preserve 200,000 affordable units over a decade. As expressed by the panel, there was general opposition to the current rules around term limits for member of the New York City Council- they are currently restricted to two four-year terms. By serving only two terms, concern arose that members would always be freshman members or lame ducks. Term limits ensure a Council is made up of inexperienced members that quickly graduate into ones that can’t be held accountable by those who elected them just a short time ago. This also leads to a situation where a well-liked member cannot be reelected by the people, hindering the democratic process. Another major part of the discussion surrounded discretionary funds and member items. The panel examined the best method to vet recipients of discretionary funds to ensure it is aboveboard. In addition to Chris, the other panelists included: Manhattan Borough President Gale Brewer, Queens Borough President Melinda Katz and former City Council Member; Former NYC City Council Speaker Peter F. Vallone, Sr. Councilman Brad Lander; Councilman Mark Levine; Councilwoman Helen Rosenthal; Susan Lerner, Executive Director of Common Cause New York; Eric Lane, Dean of Hofstra University School of Law and former Counsel to New York City Council Speaker; Eric J. Schmertz, Distinguished Professor of Public Law and Public Service at Hofstra University School of Law and Executive Director and Counsel to Charter Revision Commission. 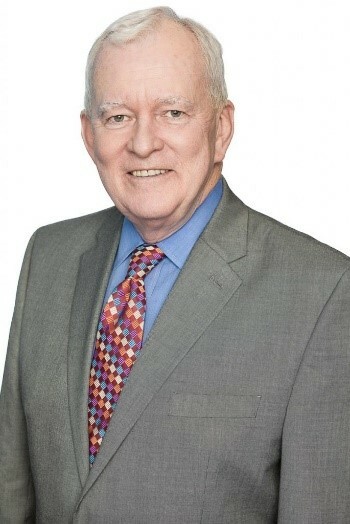 Chris Collins served in a variety of capacities in New York City government for almost 30 years, most recently as a Commissioner and the Vice Chair of the Board of Standards & Appeals.